The FodderTech designs are environmentally intelligent, green, and extremely efficient for growing commercial volumes of feed. A FodderTech sprouting system is an effective tool for organic farms. Sprouting cereal grains can be done in accordance with the organics program of the US. If you would like to use a FodderTech sprouting system for growing organic sprouts, a list of pre-tested OMRI certified products can be used. Livestock owner incorporating organic sprouting into their feed ration must adhere to all applicable organic livestock feeding rules. Growing fresh, GREEN sprouts with a FodderTech system is consistent with the spirit of the organic program. Organic sprouts can offer more animals access to green feed to encourage natural livestock development and performance. Growing sprouts in a FodderTech sprouting system uses up to 99% less land, 98% less water, & 50% less energy than conventional farming practices, all while reducing transportation costs in feed. There may be some restrictions to use of strong chemicals for mold & mildew control. The FodderTech sprouting system does not use any strong chemicals to control mold & mildew. Instead we use quality materials and advanced growing instructions to preventmold from growing. 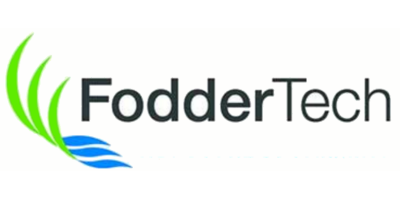 FodderTech systems convert grains into fresh, green feed using specially designed equipment. This feed is available for harvest 365 days a year regardless of climate and temperature. We recommend feeding sprouts to cows, horses, pigs, sheep, goats, poultry, and many other animals. Water and Nutrient Recirculation: This not only saves water, but improves yields because it cost-effectively distributes FodderTech’s proprietary formulation of organic nutrients, which enhance the natural growth of the sprouts resulting in improves yields. The FodderTech Mold Free Guarantee: Allows you to grow your sprouts the full 7-Days without worrying about mold. Labor Saving Design: Allows you to easily harvest your fresh fodder and seed the empty sprouting trays faster and easier than any other system on the market, period. Lowest operating costs of any system available: Due to Higher Yields, No Mold and Labor Savings! No reviews were found for FodderTech - Organic Sprouting Systems. Be the first to review!